Pullrite's automatically sliding SuperGlide hitches let you forget the hassle and just drive. The traditional series of super glide hitches solves towing with a super short bed or with installed under bed gooseneck hitch. Mounted on PullRite's proprietary rails, you can enjoy the safety and strength expected from Pull Rite. The ISR Series gives you the same worry-free towing, but on the rails you already have installed. Easily upgrade from your manual slider hitch to an American made ISR SuperGlide, or install it fresh with PullRite's new fully removable ISR Super Rails for a clean bed when not towing. 15K SuperGlide now available on Industry Standard base rails. The only fully automatic slider design that allows RV'ers to JUST DRIVE! 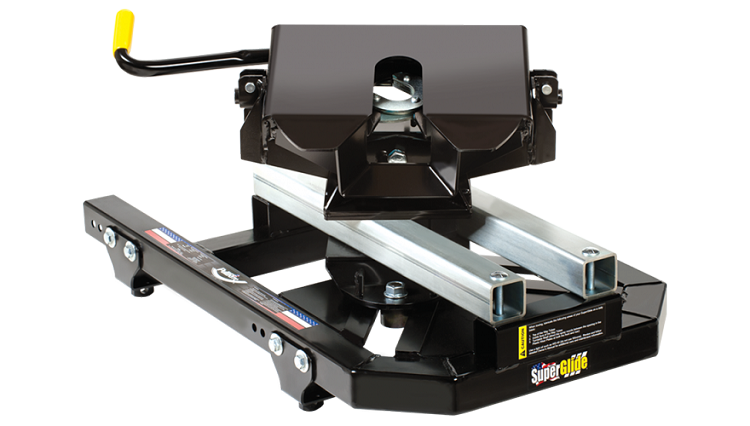 SuperGlide hitches provide fewer hassles, greater towing safety with less accidents.